Deep ancestry of programmed genome rearrangement in lampreys. Title Deep ancestry of programmed genome rearrangement in lampreys. In most multicellular organisms, the structure and content of the genome is rigorously maintained over the course of development. 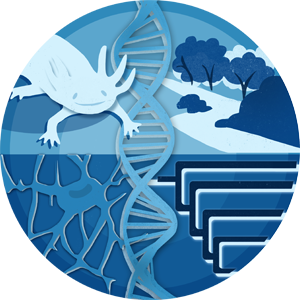 However some species have evolved genome biologies that permit, or require, developmentally regulated changes in the physical structure and content of the genome (programmed genome rearrangement: PGR). Relatively few vertebrates are known to undergo PGR, although all agnathans surveyed to date (several hagfish and one lamprey: Petromyzon marinus) show evidence of large scale PGR. To further resolve the ancestry of PGR within vertebrates, we developed probes that allow simultaneous tracking of nearly all sequences eliminated by PGR in P. marinus and a second lamprey species (Entosphenus tridentatus). These comparative analyses reveal conserved subcellular structures (lagging chromatin and micronuclei) associated with PGR and provide the first comparative embryological evidence in support of the idea that PGR represents an ancient and evolutionarily stable strategy for regulating inherent developmental/genetic conflicts between germline and soma.